SUNDAY IS BLACKBOOK DAY #10: 'SECKIE IN EGYPT'! SUNDAY IS BLACKBOOK DAY #11 - CHANGE! GRAFFITI BLACKBOOK SKETCH - IT'S OVER 9000! LOGO DESIGN - CAR JOURNALISM! FLYER DESIGN - CAKE.NL STORE OPENING! 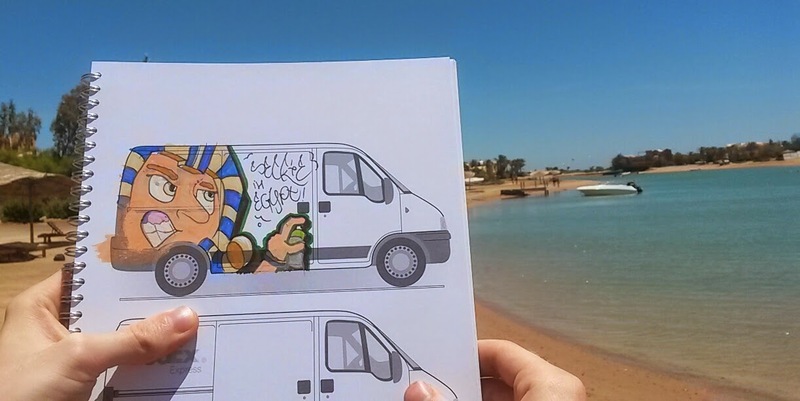 I'm staying in Egypt till May 9, and this quick upload comes through the most crappy wi-fi I've had in years. But nonetheless, this hotel is paradise. 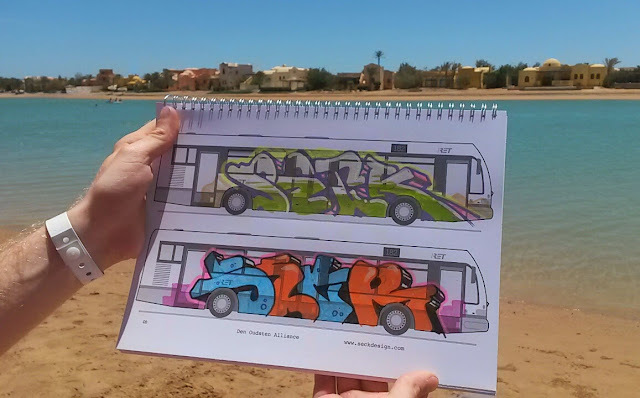 Relaxing, eating, and having fun painting blackbook trains in the sun is the way to go. Some of you may think, why did you upload this 'quickie' stuff again? Yeah the last time I did that was way back, and I'm trying to keep the Seck Design standards high. Don't be afraid to see this post deleted soon, because a new project is falling into place these days.. Part two of the Cake.nl journey! Stay live!